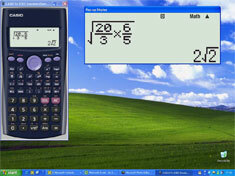 A single-user, 1 year licence to emulate the FX991EX Classwiz calculator onto your whiteboard. A 10-user, 1 year licence to emulate the FX991EX Classwiz calculator onto your whiteboard. A 30-user, 1 year licence to emulate the FX991EX Classwiz calculator onto your whiteboard. A single-user, 1 year licence to emulate the FX9860G-II calculator onto your whiteboard. A 10-user, 1 year licence to emulate the FX9860G-II calculator onto your whiteboard. A 30-user, 1 year licence to emulate the FX9860G-II calculator onto your whiteboard. Designed to support the TI-83+, TI-84+ and TI-84+ SE family of graphical calculators. This easy-to-use software complements the TI-83 Plus and TI-84 Plus families of graphing calculators, letting the teacher project an interactive representation of the calculators display to the entire class. It is an ideal demonstration tool for classroom teaching of maths and science concepts. Demonstrate and lead classroom exploration of maths and science concepts with easy-to-use software that emulates the TI-30X Pro MultiView scientific calculator. Many teachers have asked for the facility to project their classroom calculators and this exciting new emulator from Casio really fits the bill! Use this software for teaching on your Interactive whiteboard or PC and as it matches the appearance and key layout of the FX83GT Plus, FX85GT Plus and FX991ES+, it's the ideal teaching aid for students of all ages and abilities. 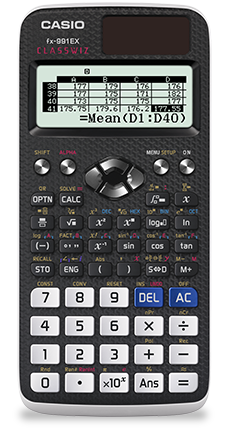 Attention: Due to extremely limited supply of this software from Casio, we regret that the FX-ES+ emulator can only be supplied to UK school customers and on a basis of one licence for every thirty Casio calculators that are purchased from us. Any order which does not fit these criteria will be rejected. Our apologies for any inconvenience caused by this shortage. 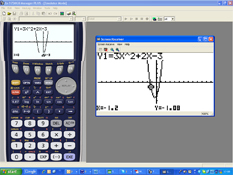 This easy-to-use software complements the TI30X Pro scientific calculators, letting the teacher project an interactive representation of the calculators display to the entire class. It is an ideal demonstration tool for classroom teaching of maths and science concepts.